After he was sacked by his own party, the South African President Jacob Zuma on Tuesday has finally agreed in principle to resign within a time frame of three to six months, said ANC secretary general on Tuesday. ANC secretary-general Ace Magashule said this when briefing the media in Johannesburg about ANC’s NEC (National Executive Committee) meeting last night. He said the NEC resolved to recall Zuma and will brief Parliament caucus on Wednesday. According to News Agency of Nigeria, the decision by the ANC national executive followed 13 hours of tense deliberations and one, short face-to-face exchange between Zuma and his presumed successor, deputy president Cyril Ramaphosa. Zuma, a polygamous Zulu traditionalist, has been living on borrowed time since Ramaphosa, a union leader and lawyer once tipped as Mandela’s pick to take over the reins, was elected as head of the 106-year-old ANC in December. Ramaphosa narrowly defeated Zuma’s ex-wife and preferred successor, Nkosazana Dlamini-Zuma, in the leadership vote, forcing him to tread carefully in handling Zuma for fear of deepening rifts in the party a year ahead of an election. 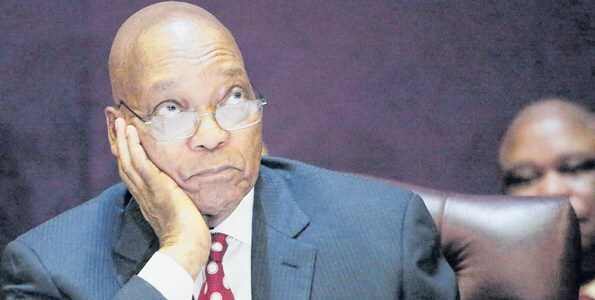 In spite of the damning decision to order Zuma’s “recall” – ANC-speak for ‘remove from office’ – domestic media say the 75-year-old might yet defy the party’s wishes, forcing it into the indignity of having to unseat him in parliament. Shortly before midnight, the SABC state broadcaster said Zuma had been told in person by Ramaphosa that he had 48 hours to resign. A senior party source later told Reuters Zuma had made clear he was going nowhere. “Cyril went to speak with him,” the source said, adding that the discussions were “tense and difficult” when Ramaphosa returned to the ANC meeting in a hotel near Pretoria. "We decided to recall Zuma,” the source said. Another party source said ANC Secretary-General and Zuma loyalist Ace Magashule had gone to see Zuma on Tuesday morning to tell him formally of the party’s decision. The ANC is due to hold a media briefing in the afternoon to reveal its version of events. One domestic report said Zuma had asked for three months to resign, a request that was denied. Another report said he simply told Ramaphosa: “Do what you want to do”. Zuma’s spokesman did not answer his mobile phone. His son, Edward, said he would not comment until after the ANC had made its formal pronouncement.